Scott and Leslyn Beckwith of well-known and absolutely respected Hamilton-based business, ABC Locksmith & Security http://www.abclock.ca/, are on permanent standby, waiting to hear from existing or even brand new customers. Chances are a new customer is calling as the result of a referral from a friend, or an existing and satisfied client. They are a mobile emergency 24-hour locksmith in Hamilton who puts the needs of their customers first. They provide residential house locks, car locks and mobile car key replacements. 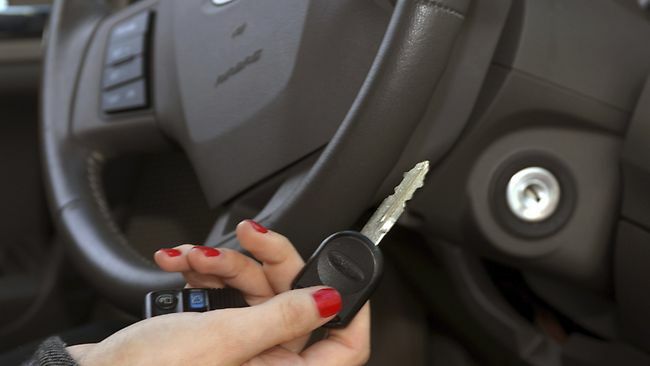 If you have locked keys in a car, they provide an automotive locksmith service. They have managed to market themselves based on their response time: they understand that when you are calling them, there is an immediate need to rectify a situation that may leave someone – or a family, vulnerable. They are recognized as being very fast to respond when it comes to emergency services. They will easily gain entry into your car or house once you inform them of your problem. Remember, they have service trucks on the road – any one of which may be dispatched to your location as soon as possible. It’s important to note that as a company they embrace the very latest technology. They will work on your locks and offer you a comprehensive and viable solution that makes economic sense after you have misplaced your keys. They always ensure that they will advise you of how best to improve the overall security of your home. ABC’s professional, trained locksmiths employ the highest level of expertise when serving you. You will be assured of quality service after you make the call to protect your home, automobile or business. For more information on any lock situation – home, auto, and of course, business then connect with Hamilton’s own ABC Locksmith & Security http://www.abclock.ca/. They invite you to contact their office directly at 905-575-9091 with any queries you may have. You may also learn more on YouTube https://www.youtube.com/channel/UC_fqmMJCBDzuvbwdJmV6SgQ or follow them on Facebook https://www.facebook.com/www.abclock.ca and Twitter https://twitter.com/ScottLeslyn. Regardless of how safe your neighbourhood feels, Hamilton’s ABC Locksmith & Security http://www.abclock.ca/ knows that you still require proper exterior door locks to keep your home safe and secure. You may even have to change your locks every so often to ensure your property is properly secured. How often should you change your door locks? There are several incidents that would warrant a lock change. One example is when you have just moved into a new house. It’s of course exciting to receive the keys to your home, but this should be treated as symbolic at best. Home owners often make copies of keys and forget who they’ve given them to – the babysitter, your brother’s wife, the neighbour, and countless others they’ve forgotten about. When you receive your keys there may still be extra keys floating around that you don’t know about. Your first renovation project should be to change all the exterior locks to your home. Start fresh with a new set of keys! Another reason to change the locks is a fairly common one – you lost your keys! When your keys go missing – whether lost or stolen – and cannot be found after a couple of days it’s time to replace those locks. You don’t want to risk having someone out there with your keys gaining entry into your home. When your relationship status changes and one person moves out of your shared home, with no hope of reconciliation, you should consider changing the locks. Whether you’re going through a divorce, separation, or breakup – it won’t always end peacefully, so you should protect your home and your family by changing the locks or rekeying your door. Perhaps the number one reason for changing locks is the result of a home burglary. If your doors and locks have been compromised in any way as the result of a break-in, it’s very important that you change your exterior locks. You can no longer trust that your locks will protect you if they failed you once. If you’ve been the victim of a burglary, one of the first calls you make, after the police and your insurance company, should be to ABC Locksmith & Security. ABC Locksmith & Security http://www.abclock.ca/ in Hamilton understands how frustrating it can be to lock your keys inside your car, or loose all your Car Keys. But before you panic and possibly cause damage to your vehicle, call the professional local locksmith. Lucky for you, ABC locksmith & Security have the tools and know-how to get your door unlocked and Cut & Program keys when they are lost, while not causing any damage to your car. Don’t try any do-it-yourself tricks – such as coat hangers, as these hacks might cause lasting damage to your windows, doors, and paint job. Do not try to force your ignition with a screw driver, as they are designed to be theft proof. ABC Locksmith & Security will know what to do based on the make and model of your vehicle, and the type of lock used. Once they arrive on the scene they can assess the situation and use a solution that is safe and reliable. To unlock your vehicle, or remake lost keys. ABC Professional Locksmiths will arrive with a tool kit that includes all the necessary equipment to do this without causes damage to your car. New and Older cars require different kinds of tools and picks to access the locking mechanisms. Professional locksmiths, such as those with ABC Locksmiths & Security who have been doing automotive locks for over 28 years will come with everything they need to get you driving again fast. ABC Locksmith & Security http://www.abclock.ca/ in Hamilton, Ontario, employs professional locksmiths who are dedicated tradespeople trained to work with locks on doors, windows, cars – you name it. Locksmiths can also install, repair, and service locks when needed. They also offer emergency lock-out service 24 hours a day, seven days a week. While most people assume that locksmiths only know how to pick locks, they do much more than unlock doors. At ABC Locksmith & Security you can have keys cut for practically any type of key. They even replace car keys! They are highly trained and have professional equipment to get the job done right. 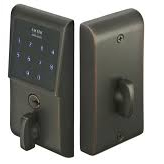 They also supply residential house locks, keypads, and door knobs. You can find a door lock and knob that suits your needs and your personal taste at ABC Locksmith & Security. Choose your lock, then a professional locksmith can install it for you to ensure your home is safe and secure. Of course lock-outs don’t just happen at home – they can happen with your vehicle, too. This is why ABC Locksmith & Security offers a mobile lock-out service to help you when you’re stuck without your car keys. Locking your keys in your car is never a fun experience, but you know you can rely on a professional, local locksmith to come to you when needed any time of day or night. It’s not unusual for a locksmith to be contracted for an entire commercial plaza or office building. They will key all locks to a master key system. Each tenant or owner has a unique key for their premises. The building manager or property manager has one master key which opens all locks on that specific property. While convenient, it also means that no tenant has the ability to change a lock on their own volition. For more information on services offered by ABC Locksmith & Security http://www.abclock.ca/ in Hamilton, contact their office directly at 905-575-9091. You may also learn more by watching their videos on YouTube https://www.youtube.com/channel/UC_fqmMJCBDzuvbwdJmV6SgQ or following them on Facebook https://www.facebook.com/www.abclock.ca and Twitter https://twitter.com/ScottLeslyn. #1 Most trusted Expert Locksmith for Automotive, Residential and Commercial Locksmith Service. ABC Locksmith & Security has a team of fully qualified professionally trained Automotive, Residential and Commercial Locksmith's on permanent standby, with the best fully stocked mobile locksmith shop vans with the latest modern equipment. When you call us at ABC Locksmith & Security you are assured that you will get the best service possible, We guarantee and warranty all of our work, and pride ourselves with our 100% A+ 5 Star service record for over 30 years in business in Hamilton Locksmith Serving Hamilton ON, Burlington ON, Oakville ON, Ancaster ON, Grimsby ON, Brantford ON, Cambridge ON.